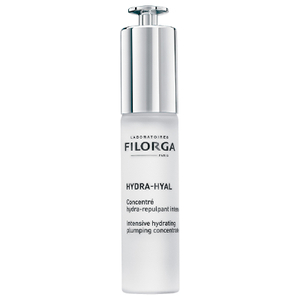 Renew the complexion with Filorga NCTF-Reverse; an effective regenerating cream that tackles wrinkles and loss of elasticity, while leaving skin radiant. 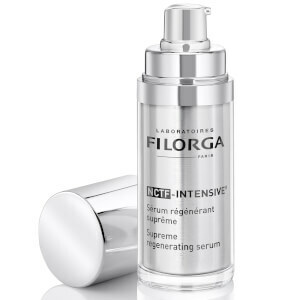 Utilizing NCTF®, a medicine-derived polyrevitalizing complex, the potent cream boasts an ultra-concentrated formula that has an equivalent concentration as injectable anti-aging treatments. The rich cream is effortlessly absorbed, enriching skin with an anti-aging cocktail of Hyaluronic Acid, Collagen and an array of Vitamins. The intelligent solution is able to visibly smoothen the look of fine lines and wrinkles, even the appearance of skin tone and transform a dull complexion by offering enviable radiance. Complete with a generous dose of Shea Butter, the hydrating cream delivers a veil of moisture to skin, which leaves the complexion youthful-looking and matte. 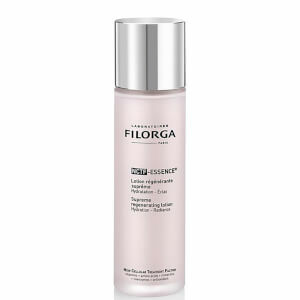 Suitable for all skin types, expect smoother-feeling skin that appears healthy, supple and energized. 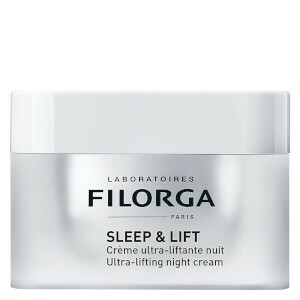 Use morning and night as part of your daily skincare routine. For a complete regenerating programme, use NCTFREVERSE® cream after NCTF-ESSENCE® lotion and NCTFINTENSIVE® serum. Aqua (Water), Glycerin, Butyrospermum Parkii (Shea) Butter, Propanediol, Pomymethyl Methacrylate, Methylsilanol Mannuronate, Cetyl Alcohol, Sodium Potassium Aluminium Silicate, Dimethicone, Methylpropanediol, Sodium Chloride, Phenoxyethanol, Butylene Glycol, CI77891 (Titanium Dioxide), Silica, Polyacrylate Crosspolymer-6, Parfum (Fragrance), Hydroxyethyl Acrylate/Sodium Acryloyldimethyl Taurate Copolymer, Sucrose, Palmitate, Tocopheryl Acetate, Peg-20 Castor Oil, Ethylhexyl Salicylate, Chlorphenesin, Hydrolyzed Hyaluronic Acid, Alcohol Denat, Glucose, Disodium Edta, Glyceryl Linoleate, Prunus Amygdalus Dulcis (Sweet Almond) Oil, Butyl Methoxydibenzoylmethane, Potassium Chloride, Diethylhexyl Syringylidenemalonate, Carbomer, Peg-60 Hydrogenated Castor Oil, Sodium Lactate, Calcium Chloride, Zea Mays (Corn) Oil, Benzyl Alcohol, Polysorbate 60, Sorbitan Isostearate, Sodium Hydroxide, Dipeptide Diaminobutyroyl Benzylamide Diacetate, Haberlea Rhodopensis Leaf Extract, Polysorbate 20, Magnesium Sulfate, GLutamine, Citric Acid, Sodium Phosphate, Inositol, Calcium Pantothenate, Retinol, T-Butyl Alcohol, Sodium Hyaluronate, Sodium Citrate, Ascorbic Acid, Sodium Acetate, Sodium Benzoate, Soluble Collagen, Potassium Sorbate, Lysine HCL, Rosa Moschata Seed Oil, Arginine, Alanine, Dehydroacetic Acid, Histidine, Valine, Leucine, Threonine, Isoleucine, Tryptophan, Phenylalanine, Tyrosine, Glycine, Polysorbate-80, Serine, Deoxyadenosine, Cystine, Cyanocobalamin, Deoxycytidine, Deoxyguanosine, Deoxythymidine, Glutathione, Asparagine, Aspartic Acid, Ornithine, Glutamic Acid, Nicotinamide Adenine Dinucleotide, CI17200 (Red 33), Retinyl Acetate, Sodium Uridine Triphosphate, Methyl Deoxycytidine, Niacin, Niacinamide, Folic Acid, Riboflavin, Pyridoxal 5-Phosphate, Pyridoxine HCL, Tocopheryl Phosphate.